Do you know that the toughest creature on Earth is able to endure the most extreme conditions on the planet? They can even survive out in the space. 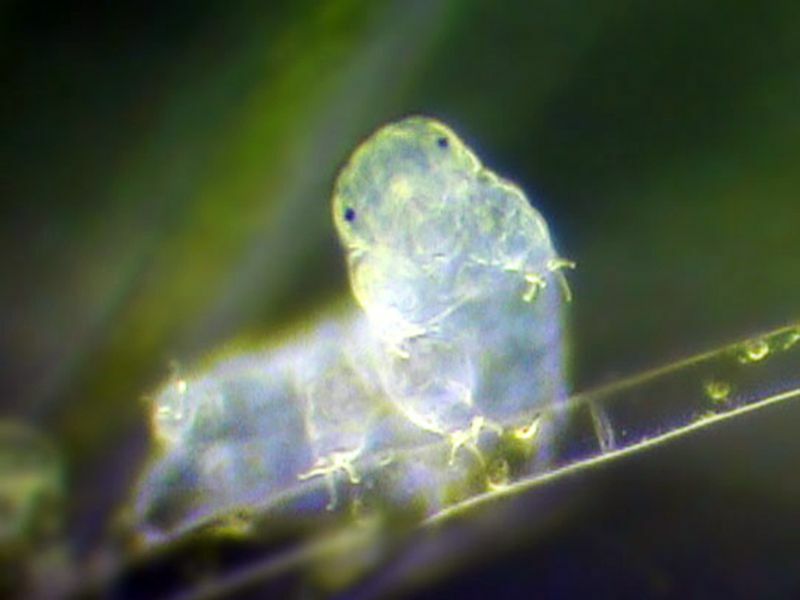 This little creature is called 'The Water Bear" or Tardigrade. Scientists are amazed for over 200 years now, even though new discoveries at a molecular level of this animal are being uncovered just this day and the outcome are literally extraordinary. Based on a research advertised in the Proceedings of the National Academy of Sciences, this 8 legged tiny creature has the genomes that are 1/6 alien. This means that they got a large quantity of their DNA from another creature. 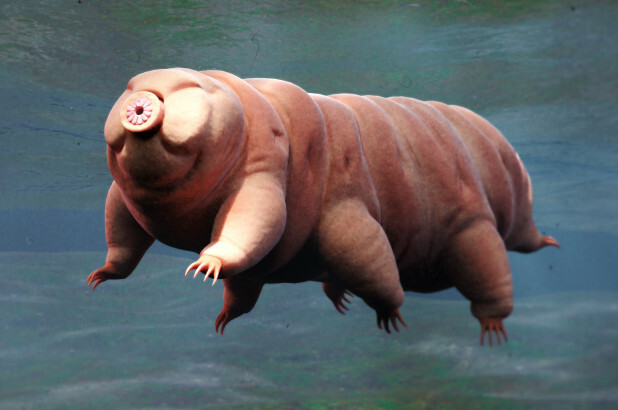 On this era where we can use technology to look even further, a special group of researchers organized the genome of Tardigrade or Hypsibius Dujardini to better understand how these animals can endure the toughest conditions in the planet. The outcome revealed that this specific species of Tardigrade can survive without food or water for 10 years. It also showed that they were able to obtain about 6,000 alien genes during its entire history by the process known as 'Horizontal Gene Transfer' wherein the genetic composition is collected from other creatures instead of being inherited from the parents. Majority of the alien genes came from bacteria, plants, fungi, and Archaea. Professor Thomas Boothby of the University of North Carolina who is the lead author of the research said that this revealed them that the animal genome can be made of a more higher ratio of alien genes that was initially thought possible. It also revealed that we should perceive the tree of life as a web of life where different organisms providing genetic components to distantly related organisms not just from their earlier ancestors. The co-author of the research Bob Goldstein also added that they had no idea that an animal genome can be made of a lot of alien DNA. They know that a lot of animals get alien genes but they never had an idea that it occurs to this degree. Now the question is how did the water bears gather the alien DNA? Well, the Tardigrade has the ability to fully dry out in drought conditions then its DNA divides into pieces and the cell membrane becomes punctured temporarily as it rehydrates. Boothby said that this process let the big molecules like proteins and pieces of alien DNA to get in the cell leaving the fragmented DNA to recover with its newly collected parts inserted inside it. A report by The Atlantic said that another research team from the University of Edinburgh are trying to disprove this above-mentioned research. After doing a series of tests alike, they concluded that there are only 500 genes that were collected from other creatures. They discovered that a very limited horizontally transferred genes as few as 36 and just 500 at the most. They were able to deduce that their rivals had a series of DNA from bacteria that were living beside the Tardigrade and in spite of their efforts they had mistaken the genes of those microbes for real tardigrade genes. They finished up with around 500 genes that are likely to come from microbes and they still think that most of these are from the impurities that they haven't been arranged. They only have a clear proof of the 36 genes that are being horizontally transferred from the bacteria which is in the normal area for animal genomes. Regardless of which theory will turn out to be true, the water bear is still the toughest animal on the planet that is known to man and modern science and by observing it closely and its ability to fit in and survive, we can then draw some answers on our own. If the noted scientist can't come to a common understanding, it might be due to our technological means are not yet to develop to be able to accurately reveal the number of the alien genes. But by determining its uncanny features, the answers might be there before our eyes.